A beautiful 7,000 sq. ft. photo studio and production facility located on North Broadway in Downtown Los Angeles’ Chinatown. Their 3 stages include natural light, hair / makeup green rooms, and production areas, as well as a private 2 walled sound insulated cyclorama sound stage and a natural light cyclorama. This multi-room studio includes a cyc, outdoor space a VIP area, on-site rental equipment and drive-in access. Located close to downtown it is central and convenient to access. This spacious 1600SF loft has lots of large north-west facing windows, white staircase to a window and downtown views. The stage comes with a concrete 10’x15′ textured wall, 10’x15′ grey wood wall. It’s perfect for still and motion photography located downtown. Part of a huge 20,000 sq ft space, this stage is 5000 sq ft and features large elephant door and ramp for loading gear, cars etc. It’s got a cyclorama, is soundproofed, has a full catwalk, 11 adjustable light rails and has 1200 amps of power throughout the building. 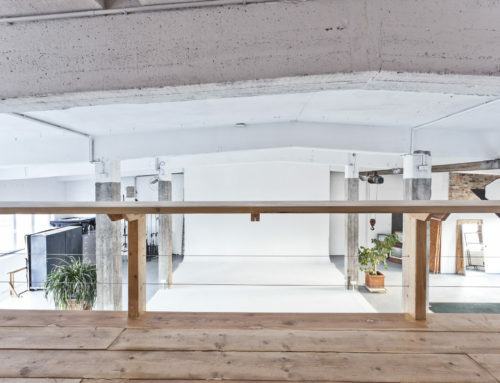 This 900 sq ft studio is part of the same 20,000 sq ft space listed above. This woodshop has dramatic 30 foot ceilings with vintage redwood walls. This very affordable 22’x60’ studio offers 15′ ceilings with 2 4′ x 8′ skylights, central heat and air, a hair and make-up and changing room a cull kitchen plus abundant parking. We think it could be a perfect solution for a shoot on a budget. We’re adding new every day— sign-up for an account so you get regular updates on new studios and locations first!